Building a high-functioning, patient-friendly, and revenue-generating business begins with building a great team. And, as important as it is to recruit the best and brightest for positions in your practice, that’s only part of the process. All of the hard work and time spent finding the perfect candidate could be wasted if you don’t put the same amount of time and effort into properly onboarding and training them. 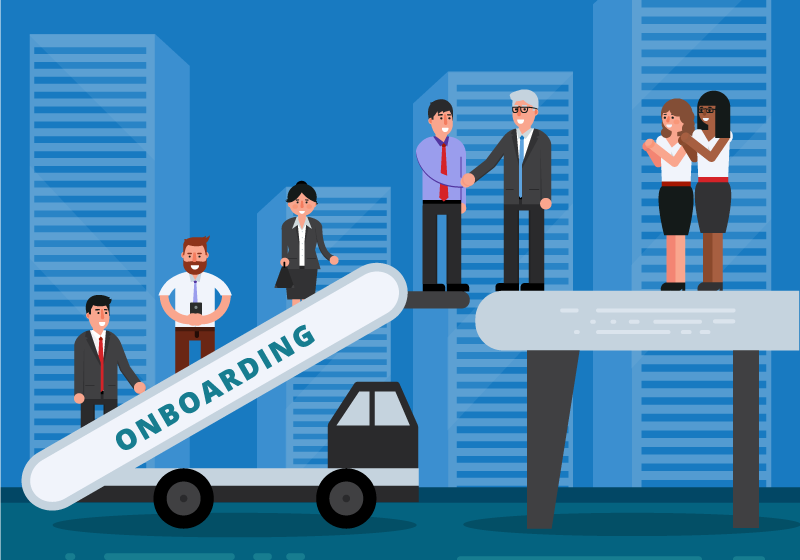 In fact, your onboarding process can be one of the most critical factors in ensuring recently hired talent become happy and productive workers. Research has shown that 50 percent of all hourly workers leave new jobs in the first four months while 50 percent of senior-level new hires fail within 18 months. How employers handle the first few days and months in a new employee’s experience is crucial to ensuring high retention. 1. Make sure they have all the tools and programs they need. Having new hires arrive to an empty or nonexistent work station is a terrible first impression to make. Set up their computer, email, and phone ahead of time, and stock their desk with the essential office supplies. In addition, make sure new employees have access to any programs, software, or electronic files necessary for them to hit the ground running. 2. Develop a plan and daily schedule for, at least, their first week. This will help the training process go smoother for everyone. In that schedule, be sure to pencil in a one-on-one meeting before or at the end of the week. 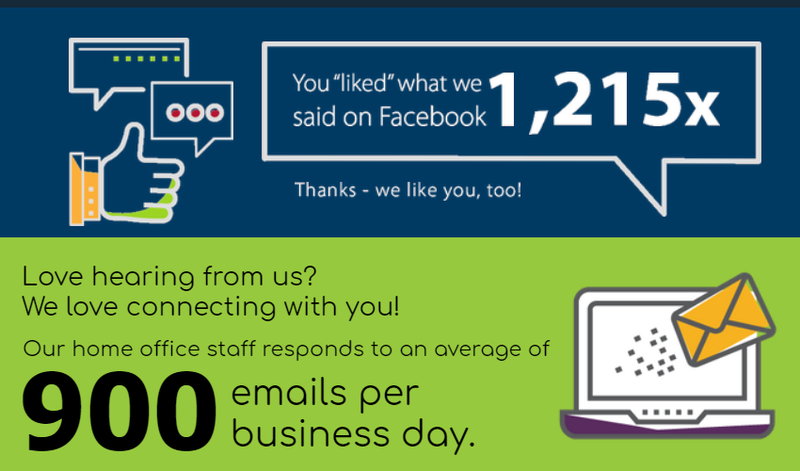 Not only does this make new employees feel valued, but it gives you, as the owner, a sense of how they felt about their first week on the job. Providing realistic and clear expectations from the start keeps the line of communication open and gives the employee a better understanding of what’s expected of them. They really need that “approachability factor” to be a positive one. 3. Give them a warm welcome. If they haven’t had a tour of the office already, now is the time to do so. Make sure they’ve been properly introduced to everyone in the office—a few quick minutes can go a long way in easing their nerves and helping them get a better feel for the company culture and workflow. Scheduling an office meeting and/or lunch their first week is another good idea. Some companies will even greet new colleagues by leaving a plant or small gift on their desk. 4. Have them shadow a seasoned employee. This person should be someone who can show them, step by step, the daily tasks they will be responsible for and be able to exercise a great deal of patience (newbies are bound to ask a lot of questions and make at least a few mistakes). Documented SOPs (Standard Operating Procedures) will help the trainer. Otherwise, encourage the new hires to take notes along the way. After a day or so of shadowing, have them switch places and the new employee start the work. 5. Continue to foster their development. Training shouldn’t end after an employee’s first week, especially not if you’re hoping to have them eventually take on greater responsibilities. Remember: the more productive the employee, the more profitable the business. And, the happier a staff member is, the more inclined she’ll be to refer her friends and family members to the practice as patients, or even for new positions as they become available. Documented procedures, equipment, training, introduction to staff, and on-going support will help to ensure that a new employees are able to thrive in their new role. If you don’t already have a formal onboarding process in place, let our experienced recruiters help. Along with your Account Manager and the Consult YHN Training Department, we form a team that will provide on-going support and training for every member of your staff so that you can build the best and most successful team for your business. 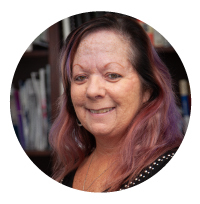 Dawn Bauer is a Senior Recruiter who has been with Consult YHN for 15 years. Previously, she spent 15 years working in banking and accounting, including 2 years in Consult YHN’s billing department. When she’s not at work, you can find Dawn either on the beach, in a shoe store, or at a concert. The US unemployment rate recently hit a 48-year low of 3.7 percent. What does this mean for your practice when it comes to recruiting candidates? It means that qualified candidates have more employment options than ever. From the moment candidates walk through the door, they should feel welcomed and comfortable in your practice. Make sure your front office staff is aware of the interview and gets the candidate settled, including if they want water or coffee and/or a quick office tour. All interviewers should have read the candidate’s resume ahead of time so that they’re not reading it during the interview for the first time. This shows the candidate that you are serious about their candidacy and also allows you time to write down questions specific to their background. You may also want to allow a 10-15 minute buffer in your schedule before the interview for any last minute accommodations and to make sure that you’re not rushing into it or arriving late. You just had a great interview with a candidate and want to extend an offer. You should strive to make that offer within 24-48 hours of the interview, if not sooner. My mantra: time is a deal killer when it comes to recruiting. Any delay in extending an offer may result in the candidate finding an opportunity elsewhere. What if it’s the first candidate that you interviewed? Don’t get caught in the mindset that you need to see more candidates! If your first candidate has the right skill set and will fit into your office culture, why would you need to see more? As for the details of the offer, besides salary, what are some perks that will distinguish you from another employer? Can you offer health insurance/monthly healthcare allowance? A generous vacation package? Bonuses? Spontaneous awards? Think outside the box to win over that candidate. Every interview experience is a branding exercise for your practice. The candidate is evaluating you as much as you’re evaluating them. An employment decision for anyone has many implications for their professional and personal lives. Even if you don’t choose to hire a candidate, you want them to walk away with a good impression of your practice. They will tell their family and friends (i.e. potential patients) about the positive experience they had with your practice and in turn, will convey to them if they had a negative interviewing experience. Before I came to work for Consult YHN, I interviewed at a local college to work on their co-op program. At the end, the interviewer handed me a coffee mug with the name of the college on it which left me with a great impression of the school and the interviewer. Think about what you can do at the end of the interview to give that good last impression to the candidate. Implement these suggestions to be any candidate’s number one choice, even in this increasingly competitive employment market! Or, even better, let Consult YHN help. Not only can our recruiters fill open positions in any functional area of your practice, but they’ll assist with the entire hiring process, start to finish. Talk to your AM or give us a call at 800-984-3272, ext. 228 for more information. 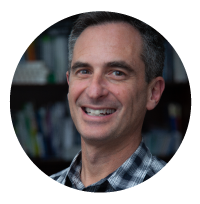 Ira Disman joined Consult YHN in 2011 as the recruiter for home office and field sales positions. He started his career as an agency recruiter in the insurance industry and then worked as a Corporate Recruiter for the PWC Consulting practice and the software company Synygy/Optymyze. Ira holds a bachelor’s degree from Babson College and an MBA (Human Resources) from Drexel University. When not working, he enjoys getting his money’s worth on the golf course by hitting many, many shots during a round. Impressive Skills or Winning Personality: Which Should You Be Looking For? 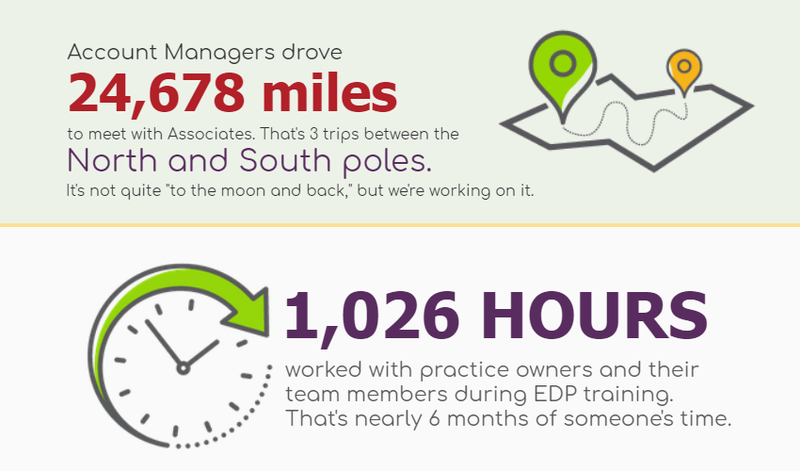 Recruiting top talent for your practice is never an easy process. A lot of time and effort is put into interviewing, so we want to make sure we get it right for our Associates. Of course, our initial screening process begins with considering a candidate’s background, experience, and education. But there is so much more that goes into finding the perfect fit for your staff. It is important to the recruiting team at Consult YHN to ensure we are interviewing candidates based on their expertise, but also seeking out those with winning personalities. 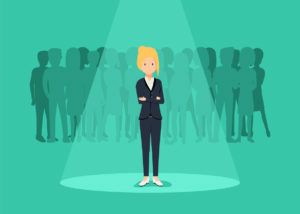 In a 2013 survey of over 500 business development, communications, and tech industry leaders, 78% identified personality as the absolute most desirable quality in a potential employee. Meanwhile, skill-set was ranked only the third most important at 39%, following behind cultural alignment at 53%. Are you someone that looks for candidates who can “hit the ground running” because they already possess the required skill set? While the learning curve may be a concern for busy practices looking to fill positions quickly, there are pitfalls to only interviewing based on skill set. Remember, skills can be taught, but the right attitude and personality cannot. We recommend focusing on finding someone with a great personality and putting the time into onboarding that employee and cultivating their talent. Personality conflicts between a new hire and their superior are one of the leading reasons for employee turnover. Incorporating behavioral questions in your interview process can uncover how different personality types would handle certain situations and really tell us a lot about if they will be successful. Consult YHN’s recruiters work closely with their accounts and are experts at finding the ideal candidates for each practice, as no two practices are alike. If you are interested in learning more about specific questions that you can ask during the interview process, please reach out to Consult YHN’s Recruiting Department at RecruitingServices@ConsultYHN.com or 800-984-3272. 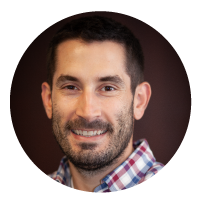 Jason DiOttavio joined Consult YHN as a Corporate Recruiter in 2011. Previously, he worked as an agency recruiter for a staffing firm specializing in IT/Administrative roles including such large companies as Dietz & Watson. When not working, Jason enjoys spending time with his wife and young daughter. He’s also obsessed with cooking shows and finding new ice cream and donut shops. 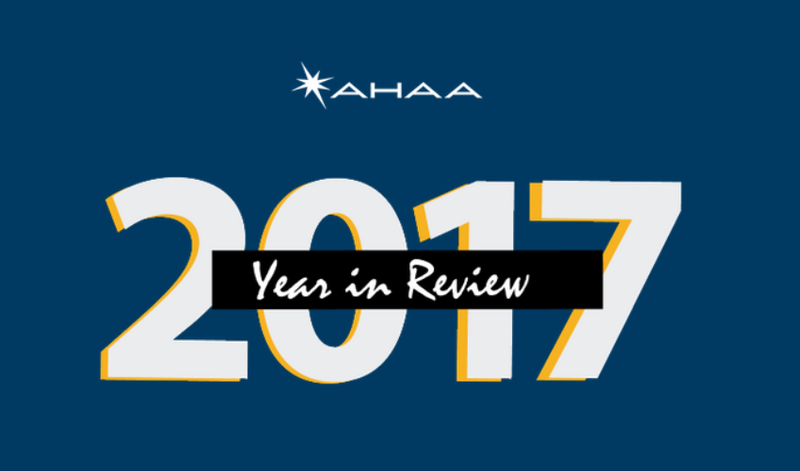 What did we do in 2017? 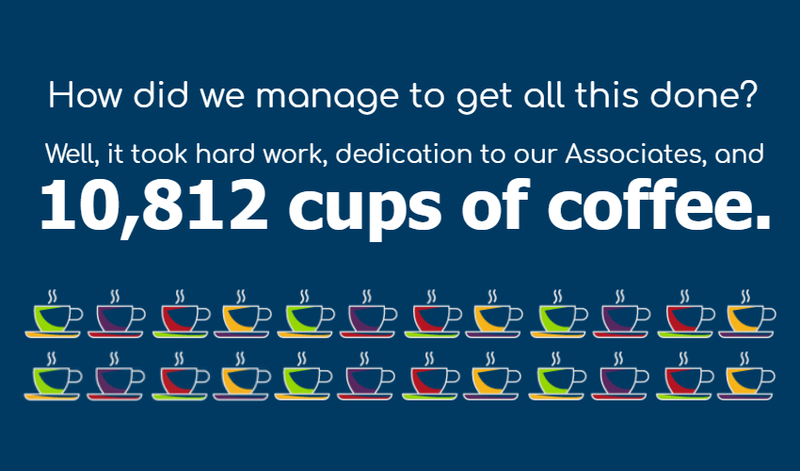 The short answer: a lot…last year was a productive, highly-caffeinated year at Consult YHN. As we look forward though, it’s important to reflect on the year that was. 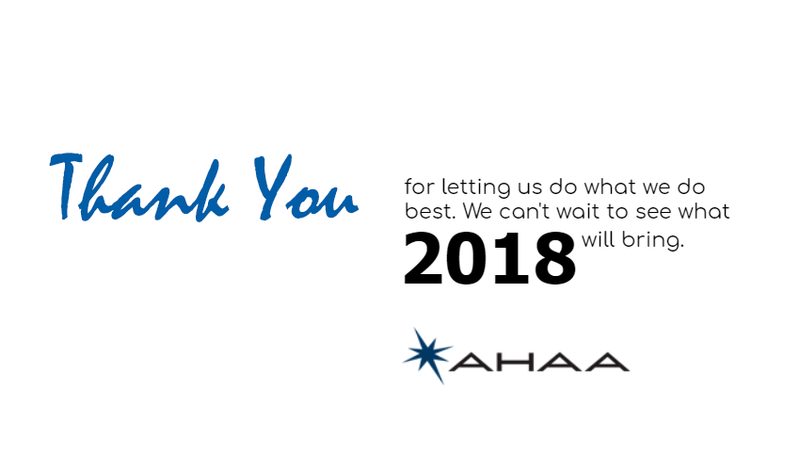 Take a look at what we accomplished for our Associates in 2017, and get ready, because 2018 is going to be even bigger and better. Simple, because as the largest professional network on the Internet you will find anyone who matters to your business on there — from customers to prospects, from business partners to employees. The network adds two new members every second and is home to more than 250 million members worldwide. LinkedIn has become the place for professionals to gather. And, when you have so many interconnected entities gathering in one place, you need to have a plan. Your employees? They’re all over LinkedIn. From sales reps to the people in the back office. Most are on it weekly, many are on it a few times each day. They check it on their smartphones during breakfast and on their laptops during conference calls. LinkedIn – Can you afford to ignore it? Sure, some employees will be job-hunting, yet the majority are using LinkedIn in many other ways. Ways that could benefit your business. They’re getting management advice from business thought leaders. They’re keeping up with industry trends. They’re searching for prospects. They’re building relationships with business professionals who will: buy from you, sell to you,or work for you. LinkedIn is bigger than the recruiting department. It touches all aspects of your business. People don’t buy from brands. They buy from people. When a client or prospect searches for people they’ve met, their LinkedIn profiles are likely to come up first. Employees use LinkedIn to represent both themselves and indirectly your company too. From a brand perspective, those profiles should be compelling. Ask your employees and most will reply, “I should do more with LinkedIn.” Yet, most of them are doing it poorly. Their photos aren’t professional looking, their profiles undersell their experience, and their networks are not relevant. These are the people who help create your brand, and they are often part of the first impression others will form of your business. There isn’t a simple solution to this issue. Each person’s use of LinkedIn depends on his or her role, as well as the industry, your company go-to-market strategy, and your overall company branding and messaging. For your company to get value from LinkedIn you will need to know what you want to accomplish, how your organization will get there, and how you will measure success. In other words, you’ll need a strategy. 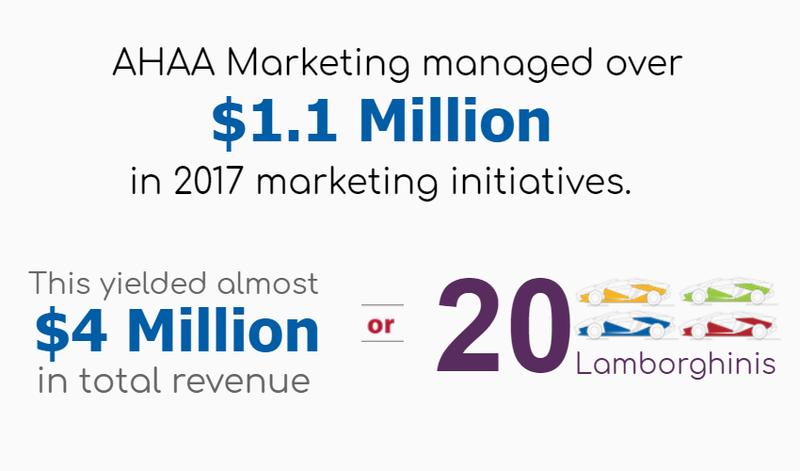 Like all marketing programs (and make no mistake about it, this is also a marketing program) you have to set a strategy, then work toward implementation in a clear and deliberate way. Start small, focus on bang-for-the-buck; create a consistent brand message about your organization then ask your staff to use it in their profile. Develop a company page, so that when other people run across your employees the company information is clickable and exactly how you want it. Encourage your teams to build relevant industry contacts and ensure they are connected to one another right away. These are all solid building blocks. Also, allow time for exploration and investigation. That time your staff is using to learn a leadership skill will manifest itself positively if you let it. The industry contacts that are cultivated from posting to related groups and interacting with regularity will have long-term value. Even the job hunting activities are beneficial in some ways, as keeping employees happy is often a matter of having a realistic perspective on market conditions. Regardless of what you do, or how you prioritize it, give LinkedIn the respect it deserves. Craft a strategy then set about making it happen. It’s that dreaded day when an employee hands you a resignation letter informing you they have decided to leave your practice, or worse yet, you need to let go an underperforming employee. Whether you are devastated or feel it is a blessing in disguise, you are sure to feel frustrated and overwhelmed with having to embark on the hiring process yet again. As cumbersome as this process can be, the last thing you want to do is just hire anyone. Since your staff members are an integral part of your business success, you need personnel to align with your business goals and objectives. It may seem easier as a short-term solution to hire someone (a friend or family member) who is just an ‘okay’ fit. However, to accomplish your long-term goals, you need to find someone who is not only qualified for the position but a dedicated candidate who is going to help your business grow. So how do you find your next best employee? Determine a compensation package by developing a salary analysis for the position you are looking to fill. Review comparable positions in local job listings for salary wages or reach out to local organizations such as your chamber of commerce or employment bureaus for advice on salary and benefits. Don’t rush to hire someone just to fill the position. You want to take the time to find the right candidate that is not only qualified but is going to meet your needs on a personal and professional level. If you are feeling pressure to find someone fast, spread the work load out among existing employees or consider hiring a temp to help out until you find the appropriate hire. Advertise the job posting in your local newspaper, online job boards or other social media outlets such as LinkedIn. Networking is also an alternative to finding great talent. Spread the word to your professional and trade connections and/or to your present employees and patients. You need to find someone who is not only qualified for the position but a dedicated candidate who is going to help your business grow. After reviewing the pool of resumes, narrow the list down to the top five applicants that fulfill your job requirements and are the most qualified for the position. Bring these candidates in for 2-3 interviews (phone, in-person and/or working) to ensure they are a perfect fit. To avoid any hiring mistakes, check professional references and run background checks before you send out an offer letter. Having a strong and streamlined hiring process is crucial for attracting and retaining top quality employees. By following these guidelines it will help you best match the right people to the right position. With 45 years of combined experience in recruiting, Consult YHN’s Recruiting Department has a true understanding of the audiology business model and knows what’s important for your practice. Find out more about how Consult YHN Recruiting Services can help your practice. 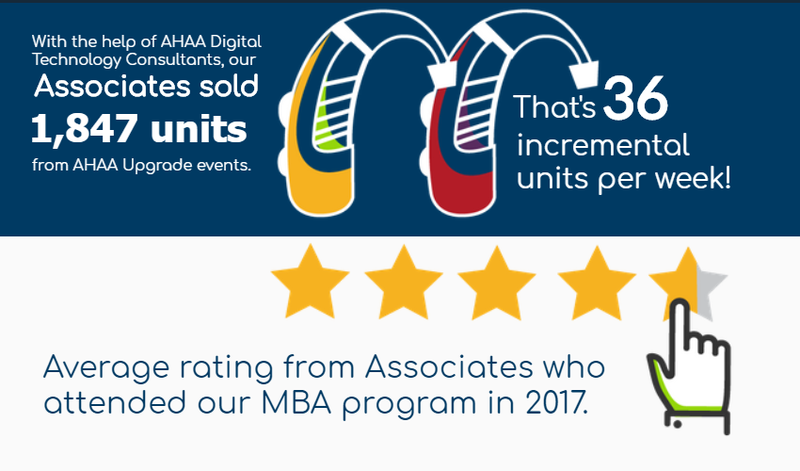 Visit https://consultyhn.com/our-services/#consult-recruiting or call 800-984-3272 and get connected with a member of our Recruiting team. Because as we all know, having the right employees is key to running a successful business.